Diamonds, platinum, fancy tourbillons, chronographs, and perpetual calendars are only a few of the features watchmakers use to create the world’s rarest and most expensive timepieces. 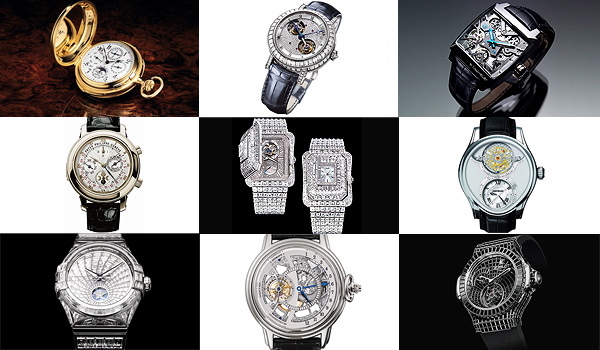 Scroll down to see the list of the 20 most expensive watches of the world. 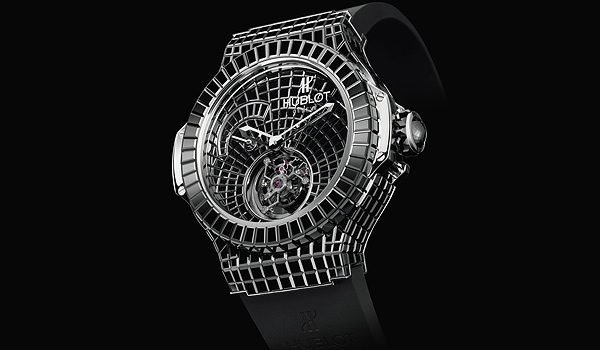 The case, crown dial, and clasp of Hublot’s Black Caviar Bang are encrusted in baguette-cut black diamonds. The watch, which has no numbers on the face, has 544 diamonds, a total of 34.5 carats. It is 18 carat white gold and has an adjustable leather strap. In 2009, it won the Grand Prix de Genève Jewellery Watch prize. Founded in 1980, Hublot today is a subsidiary of Moët Hennessy Louis Vuitton. The 18 carat white gold case of the Crystal Tourbillion is covered in 17.48 carats of baguette diamonds and has a transparent skeleton tourbillion dial. The piece is finished with an alligator band with a 2.22 carat baguette diamond buckle. Jacob & Co. manufactured 18 pieces of the white gold Crystal Tourbillion, available in the New York City boutique. Audemars Piguet’s one-of-a-kind, self-winding skeleton watch has a titanium case and features a perpetual calendar indicating the hours, minutes, day, date, week, moon phases, month, and leap years. There is also a minute repeater and chronograph. It has a crocodile leather strap. The Jules Audemars Grande Complication is available exclusively at the watchmaker’s New York City boutique. 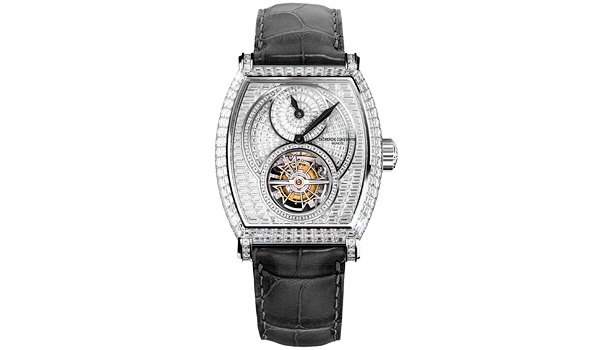 This piece has twin rotating tourbillons in a platinum case lined with baguette-cut diamonds. 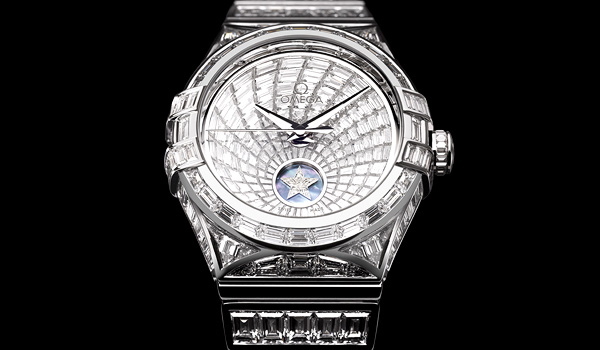 The dial is pavéed with more diamonds. 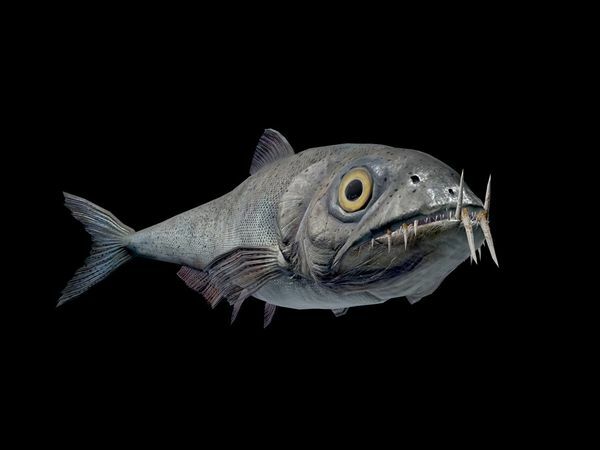 It contains more than 570 parts and has three patents to protect its “superior precision and technological mastery,” according to Breguet, which is today owned by Swatch. The one-of-a-kind piece, available at the Omega boutique in Geneva, shines with 459 Top Wesselton diamonds, totaling just over 30 carats. 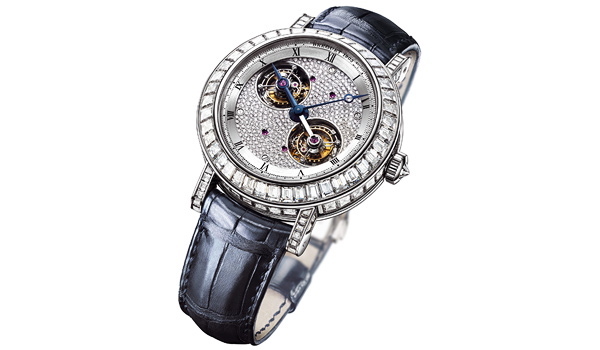 There are 146 baguette and trapeze diamonds on the dial, completely covering the 18 carat white gold case. Omega is owned by Swatch Group. Part of Vacheron Constantin’s High Jewelry collection, the Malte Tourbillion Regulator has 263 baguette-cut diamonds in the dial and 274 baguette-cut diamonds in the case. 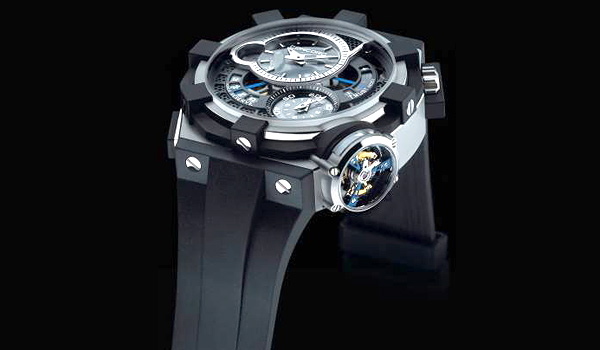 It features a Tourbillion and is finished on a black leather strap. The case is in the classic tonneau (or barrel) shape of the Malte collection. Founded in 1755, Geneva’s Vacheron Constantin is one of the world’s oldest watchmakers. Today it is part of the Richemont Group. A total of 531 parts are used for two separate double tourbillons. 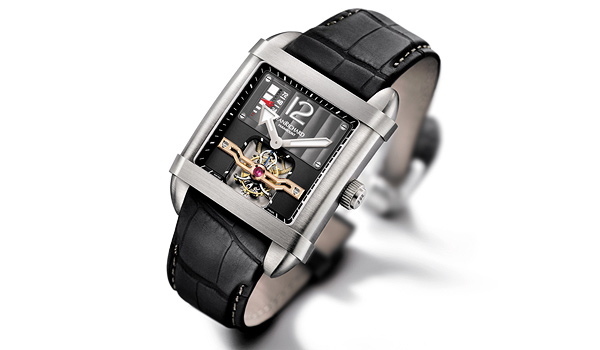 This complex watch has an asymmetrical platinum case and alligator leather strap. 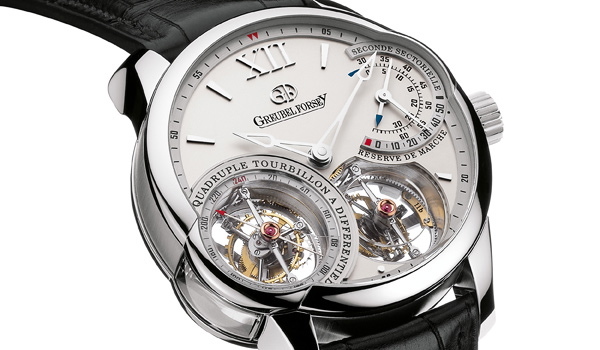 Founded by watchmakers Robert Greubel and Stephen Forsey at Baselworld in 2004, the company (in La Chaux-de-Fonds, Switzerland) is known for offering two and four tourbillion mechanisms in the same watch case. Founded in Geneva in 1993 by Fawaz Gruosi, de Grisogono recently launched a Meccanico dG set with baguette diamonds at this year’s Baselworld. 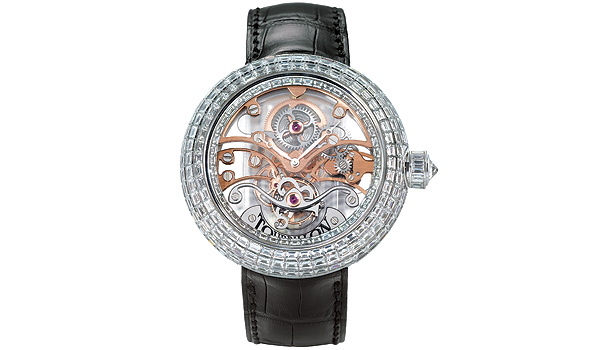 This Meccanico dG, of which there are 20 units, was designed in three variants: with baguette diamonds (in photo), with white pavé diamonds, and with black pavé diamonds. The version featured above, made of 18 carat pink gold, is set with 126 baguette-cut white diamonds. It displays two time zones and has analog and digital displays and a power reserve indicator. 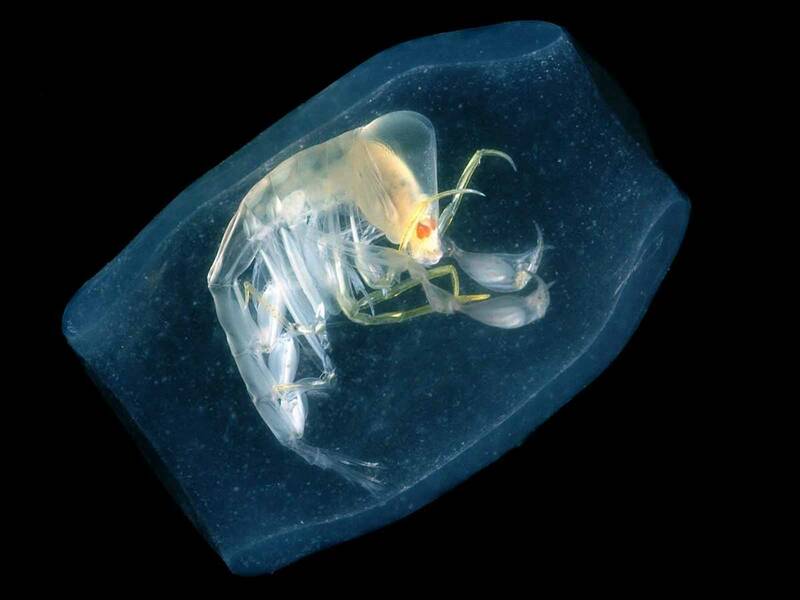 It is also water-resistant to a depth of 30 meters. Honey gold was used for the case of this limited edition watch, of which A. Lange & Söhne has manufactured only 50 units. 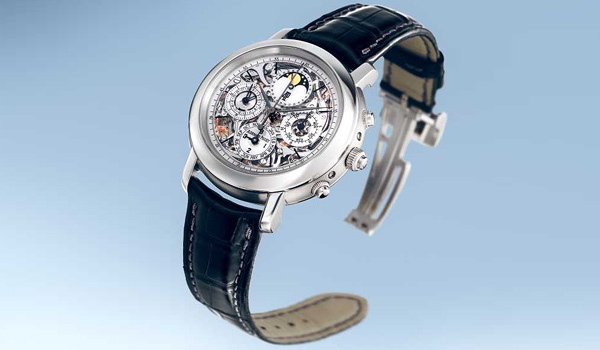 The watch has a one-minute tourbillion as well as a double chronograph. 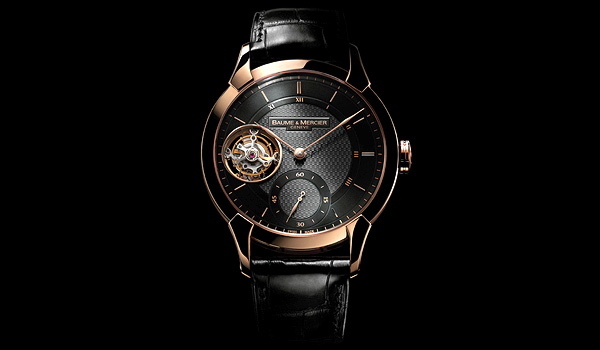 The Tourbograph “Pour le Mérite” can be purchased in New York City, Dresden, Shanghai, and Tokyo. Like Glashütte Original, the company is based in the former East Germany. After the Soviet occupation, the region’s once-thriving watchmaking industry foundered. Lange, which had been founded in 1845, shut down and was revived in 1990. Today it is part of the Richemont Group. 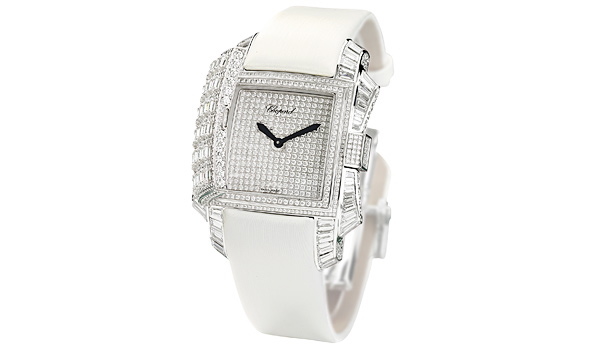 This watch has a square pavé-set diamond dial and frame inside a case composed of brilliant, square and baguette-cut diamonds (19 carats) on the satin strap and baguette-cut diamond clasp. Chopard has manufactured only two Secret watches so far. Geneva-based Chopard, which was founded in 1860, is still privately owned. Although once known primarily for its signature fountain pens, Richemont-owned Montblanc in recent years has transformed its brand into that of a jeweler and watchmaker. 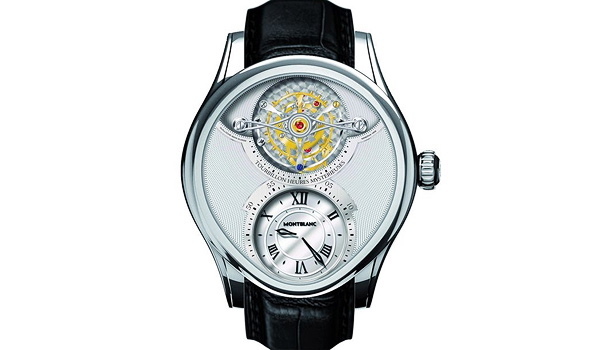 Its most expensive watch is the Grand Tourbillion Heures Mysterieuses in platinum, of which only one has been made so far. This tourbillion is also available in 18 carat white gold (in photo), limited to eight pieces at $319,000 each. The 18 carat red gold version, also limited to eight pieces, is $302,500. One of the unique features of this watch, which has an 18 carat white gold case, is the seconds display on the side of the tourbillion carriage. The C1 Tourbillion Gravity also features a flyback chronograph and 84-hour power reserve and is water resistant to 30 meters. 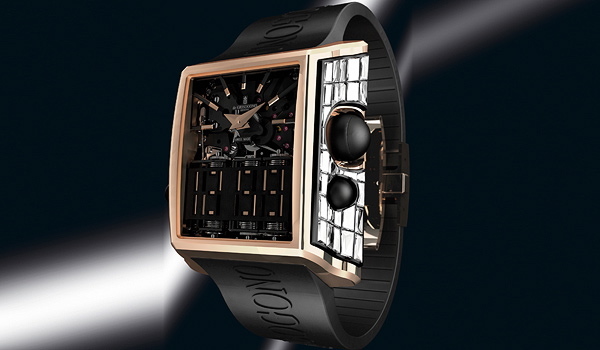 Although founded in Biel, Switzerland, in 1908, Concord today is owned by Movado Group, which is based in Paramus, N.J.
IWC first launched the Grande Complication about 20 years ago. 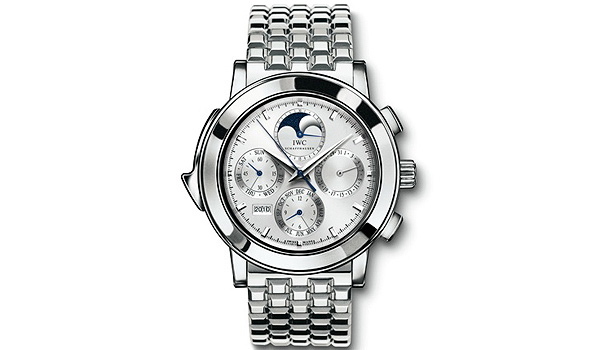 It combines a perpetual calendar with moon phase, minute repeater, and chronograph with an automatic movement. This version has a platinum case and bracelet. The Richemont-owned IWC recently redesigned it in a Portuguese-style case ($220,567). A total of 50 pieces are produced annually. Unveiled at Baselworld 2010, this pocket watch has a perpetual calendar that displays the date, day, month, leap years, and moon phases and a minute repeater that strikes the hours, quarters, and minutes on demand. 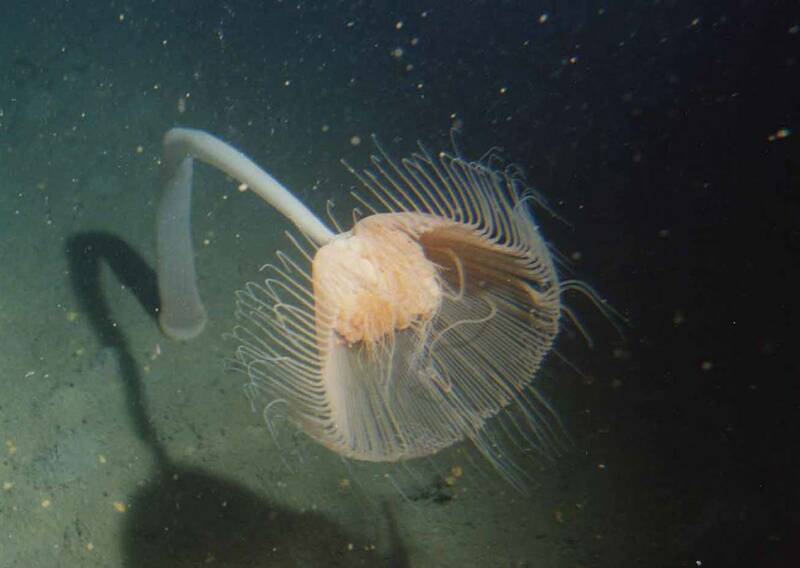 It comprises almost 700 parts. The case, made of 18 carat yellow gold, features an engraving of Walter Owen Bentley, founder of Bentley Motors, one of Breitling’s partners. Recently presented at the 2010 Salon International de la Haute Horlogerie in Geneva as a tribute to Galileo Galilei, the L’Astronomo will be made in a limited number of about 30. While ordering the piece, clients must specify their hometown, which is engraved on the back near a rotating sky chart of the city. The dial also displays the sunrise and sunset times of the chosen city. 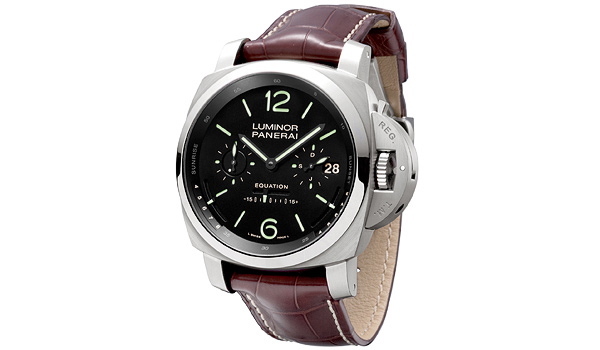 Panerai is owned by Richemont. Made of about 800 individual parts and developed by 12 engineers and watchmakers, the Porsche Design Indicator P´6910 is the world’s first chronograph with a mechanical-digital stopwatch function display. It can record up to 9 hours and 59 minutes. In 2008 the Indicator, available in three design variants, was presented in rose gold with PVD coated titanium. Glashütte Original introduced this piece for the Assmann edition in 2007. 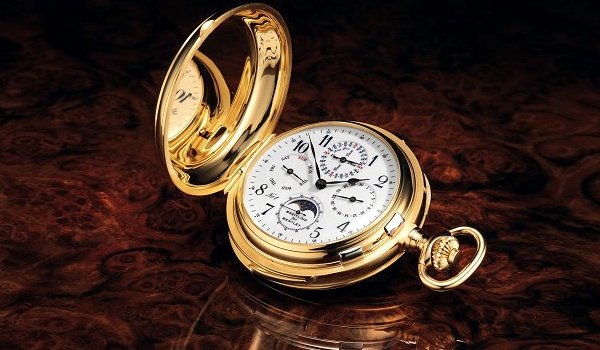 It can be worn as a wristwatch or pocket watch and features a unique retrograde hour display and tourbillion. 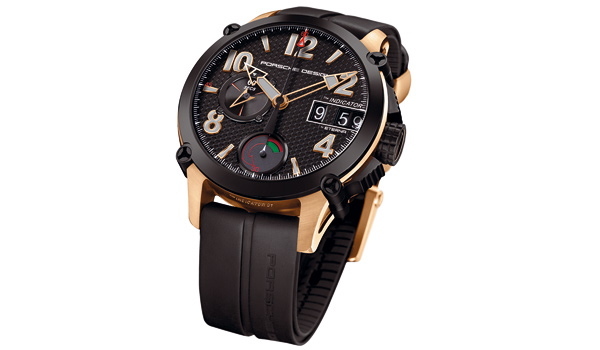 The watch is also offered in red gold and rose gold ($145,000). More information is available through Tourbillion Boutiques in New York, Las Vegas, and Los Angeles. Based in the former East Germany, Glashütte Original is one of the few watchmakers that uses its own proprietary movements. It is owned by Switzerland’s Swatch Group. This unique tourbillion watch from independent Swiss watchmaker JeanRichard uses a linear indicator for the 72-hour power reserve. It has an 18 carat white gold case and rubber covered alligator strap. Tag Heuer, which is owned by French luxury conglomerate Moët Hennessy Louis Vuitton, used cars as a model for rethinking watches’ mechanical movement and engineered the world’s first and only belt-driven timepiece. This design is more shock-resistant and requires less maintenance because of the belts and micro ball bearings, according to the company. 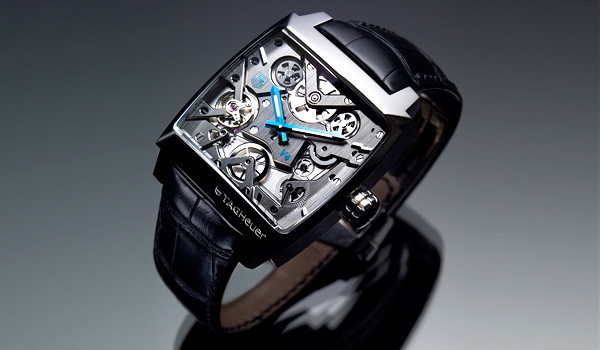 The Monaco V4 has a platinum case and alligator leather strap. Only 150 pieces were manufactured. This new edition of the William Baume Tourbillion has a “flying tourbillion,”—a tourbillion held in place on only one side rather than on the top and bottom—black dial, and black alligator strap. The tourbillion escapement is in the 9 o’clock position and a small seconds display at 6 o’clock. It has a 52-hour power reserve. This timepiece is limited to 10 editions worldwide. Baume & Mercier is owned by Swiss luxury goods giant Compagnie Financière Richemont.